Verizon INDYCAR racing news and photos from the open wheel racing series. 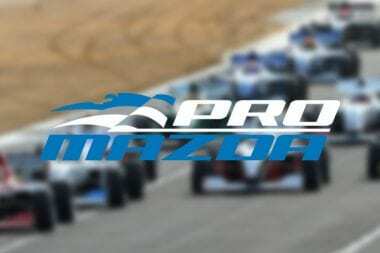 Coverage includes; Verizon INDYCAR Series, Indy Lights, Pro Mazda and US F2000. 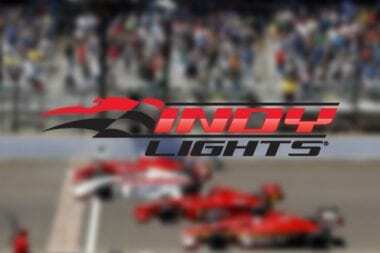 View the latest INDYCAR Series news and photos here. Following in the athletic footsteps of fellow drivers Helio Castroneves, Tony Kanaan and Josef Newgarden, Daly will venture to San Antonio this weekend to participate in a regional qualifier for the Emmy-nominated NBC obstacle course challenge show that will air its ninth season this summer. ST. PETERSBURG, Fla. (Friday, March 10, 2017) – INDYCAR continues building momentum and solidifying its future by today announcing that manufacturers Chevrolet and Honda have signed multiyear contract extensions to supply engines for the Verizon IndyCar Series. Former Verizon IndyCar Series and three-time NASCAR Cup Series champion Tony Stewart is returning to the Indianapolis 500 – as a car sponsor. INDIANAPOLIS (Monday, Feb. 6, 2017) – In a continuing effort to deliver the most effective and entertaining on-track action for fans, the Verizon IndyCar Series has modified the race weekend schedule at some events for the 2017 season. 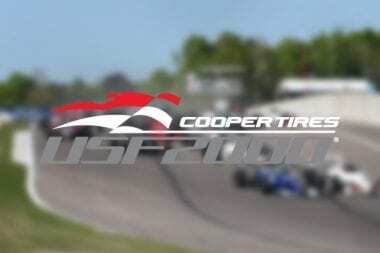 2017 Gateway Motorsports Park INDYCAR race has a title sponsor and a new GMSP INDYCAR event logo. View the new St. Louis INDYCAR race logo below. AJ Foyt Racing Chevrolet switch from Honda for upcoming Verizon IndyCar Series season. View photos of the 2017 AJ Foyt Chevrolet racecar here. WALLER, Texas—AJ Foyt Racing will use Chevrolets to power its ABC Supply Racing team in the 2017 Verizon IndyCar Series. “I am looking forward to what will be a new chapter for us that involves returning to an old friend in Chevrolet,” said Team President Larry Foyt. INDIANAPOLIS (Tuesday, Jan. 17, 2017) – INDYCAR announced a multiyear contract extension today with Bridgestone Americas Tire Operations, LLC (BATO), continuing its longtime partnership with Firestone as the official tire supplier of the Verizon IndyCar Series. The announcement extends the tire brand’s involvement in open-wheel racing that dates to Ray Harroun’s Firestone-equipped Marmon Wasp winning the inaugural Indianapolis 500 in 1911. View the first 2018 IndyCar design renderings shown below. The images showcase a possible Dallara IR-12 chassis. The Verizona IndyCar Series will have new cars in 2018. DETROIT (Thursday, Jan. 12, 2017) – The first step in revealing INDYCAR’s next equipment generation comes in the form of signing Dallara, the sport’s longtime chassis manufacturer, to a contract extension, officials announced today at the North American International Auto Show. What channel is Indycar on in 2017? Here’s your answer with the 2017 IndyCar TV schedule posted below. INDIANAPOLIS (Wednesday, Jan. 11, 2017) – Continuity and consistency are the highlights of the 2017 Verizon IndyCar Series television schedule released today. 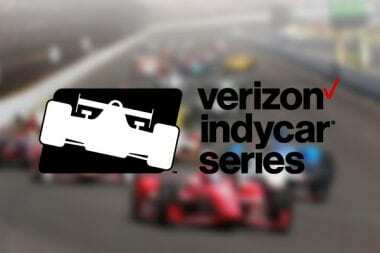 INDIANAPOLIS (Monday, Jan. 2, 2017) – On New Year’s Day, INDYCAR released the fourth chapter of its “Racing Heart” advertising campaign designed to kick off the 2017 Verizon IndyCar Series season. It had already been a very busy day for Alexander Rossi, as the winner of the 100th Running of the Indianapolis 500 presented by PennGrade Motor Oil had his sculpted face officially unveiled Wednesday on the iconic Borg-Warner Trophy. HOMESTEAD, Fla. – Ryan Hunter-Reay wouldn’t trade his job as a Verizon IndyCar Series driver for anything. But the 35-year-old Floridian experienced something that may have matched his vocation for thrills when he flew with the U.S.
Juan Pablo Montoya will return to Team Penske for the 2017 Indianapolis 500, team president Tim Cindric confirmed to INDYCAR. It is currently the only Verizon IndyCar Series race that the two-time Indy 500 winner is scheduled to drive in the 2017 season. Chip Ganassi Racing Honda engines will power the team stables in 2017. The team is making the move from their long standing Chevrolet partnership. Chip Ganassi Racing Teams (CGRT) announced today that its Verizon IndyCar Series program will be powered by Honda beginning with the 2017 season as part of a multi-year deal.